U.S. 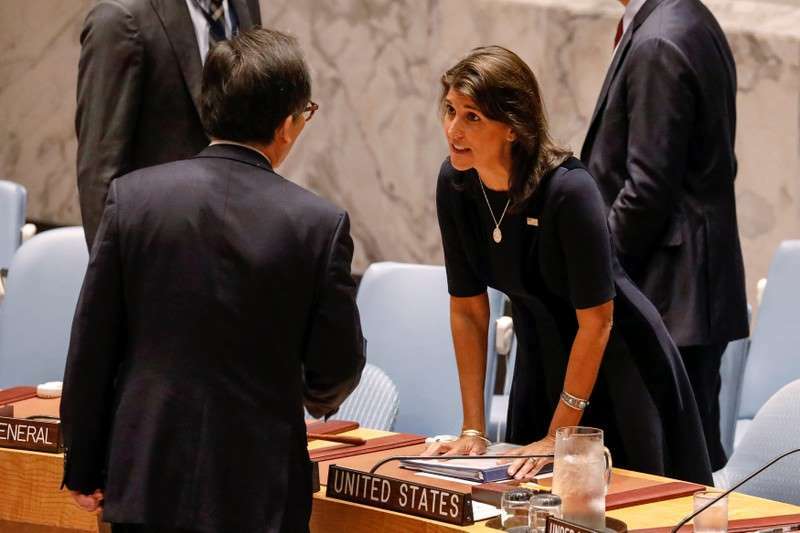 Ambassador to the United Nations Nikki Haley accused Russia on Monday of "cheating" on U.N. sanctions on North Korea and said Washington has "evidence of consistent and wide-ranging Russian violations." 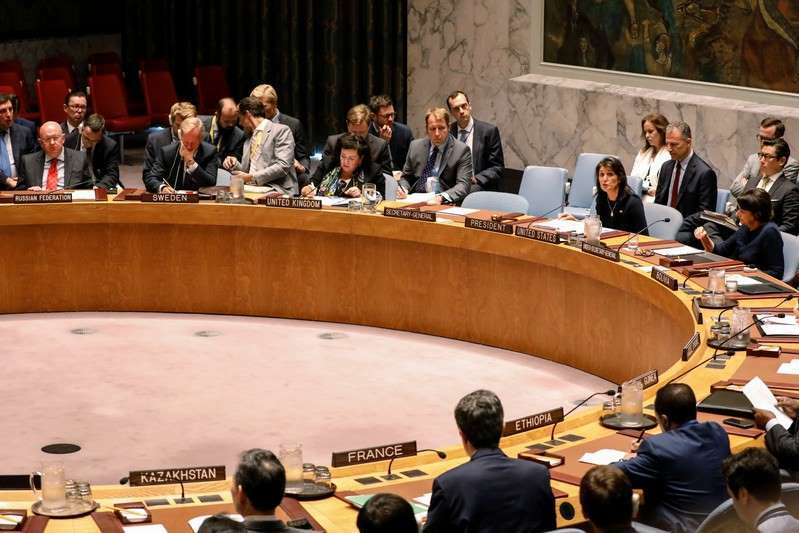 The showdown between the United States and Russia over North Korea publicly showed cracks in the unity of the 15-member U.N. Security Council, which has unanimously boosted sanctions since 2006 in a bid to choke off funding for Pyongyang's nuclear and ballistic missile programs. "Russia must cease its violations of North Korea sanctions. It must end its concerted effort to cover up evidence of sanctions violations," she said. "Its violations are not one-offs. They are systematic." 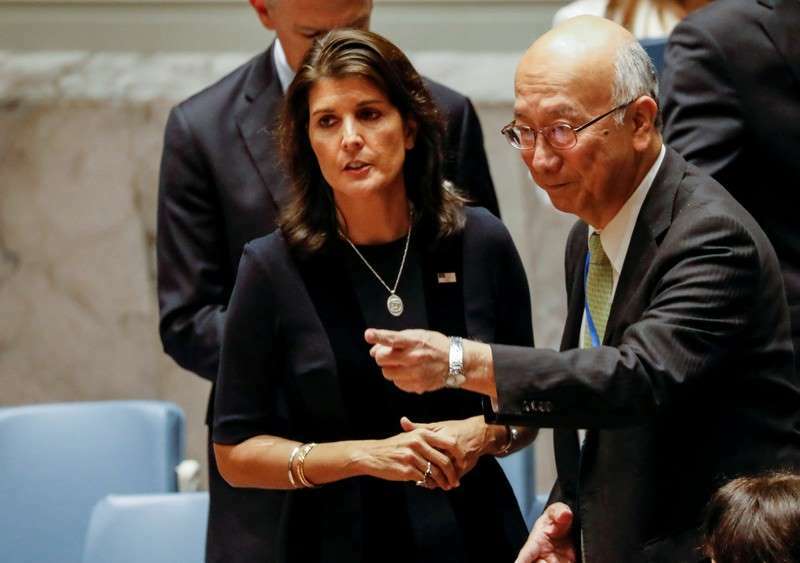 Haley said that while "difficult, sensitive talks" between the United States and North Korea are ongoing, it was the wrong time to start easing sanctions on Pyongyang. "It is impossible to come to an agreement if you offer nothing in return for your demands," said Nebenzia, suggesting that a confidence-building measure could be for North and South Korea to sign a peace treaty. Chinese U.N. Ambassador Ma Zhaoxu said Beijing implements sanctions on North Korea and warned that confronting Pyongyang would be a "dead end." He called for progress in negotiations and urged the Security Council to remain united on the issue. "Resorting to force will bring nothing but disastrous consequences," Ma told the council. U.N. political affairs chief Rosemary DiCarlo told the council that while there had been some recent positive developments, "there continue to be signs the DPRK (North Korea)is maintaining and developing its nuclear weapons and ballistic missile programs."